1. Rule of Thirds: The "rule of thirds" is applied by aligning a subject with the guidelines and their intersection points, placing the horizon on the top or bottom line, or allowing linear features in the image to flow from section to section. 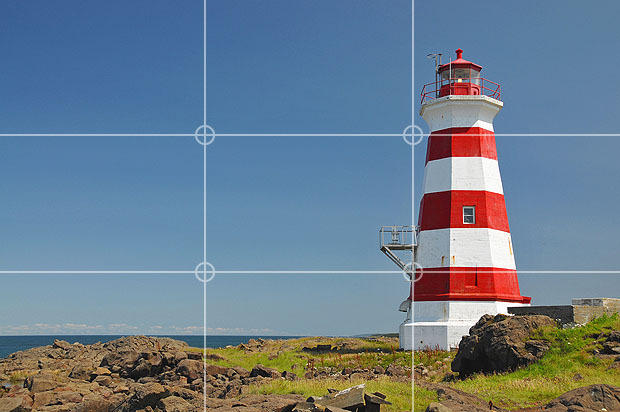 For a "rule of thirds" overview, visit this link. 2. Placement of the Horizon Line: Most pictures look better if the horizon is positioned above or below the middle of the frame, not directly in the center of the image. The exception is when you're shooting a reflection. In this case, having the horizon in the center can work well because it creates equal elements at top and bottom—the scene above and the reflection below. For an in-depth lesson on Horizon line placement, click here. Photograph via linked source above. 3. Leading Lines: One of the most effective and under-utilized compositional tools available to photographers. You can use them to draw a viewer's attention to a specific part of the frame, whether it's a person or a vanishing point in the background of the frame. For an in-depth lesson on Leading lines visit this source. 4. Depth of Field: the zone of acceptable sharpness within a photo that will appear in focus. In every picture, there is a certain area of your image in front of, and behind the subject that will appear in focus. Here's a great reference for more tips and tricks! 5. Fill the Frame: By filling the frame you add instant impact to the image. 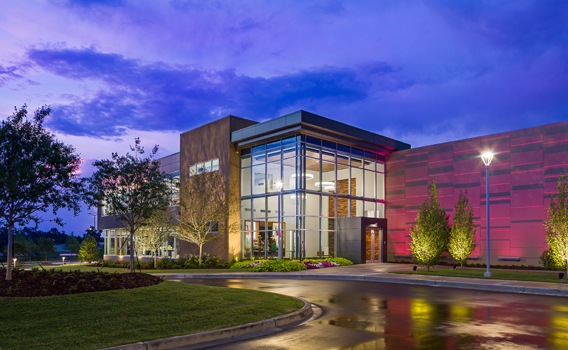 You exclude unnecessary clutter and bring a dynamic element to your photo. 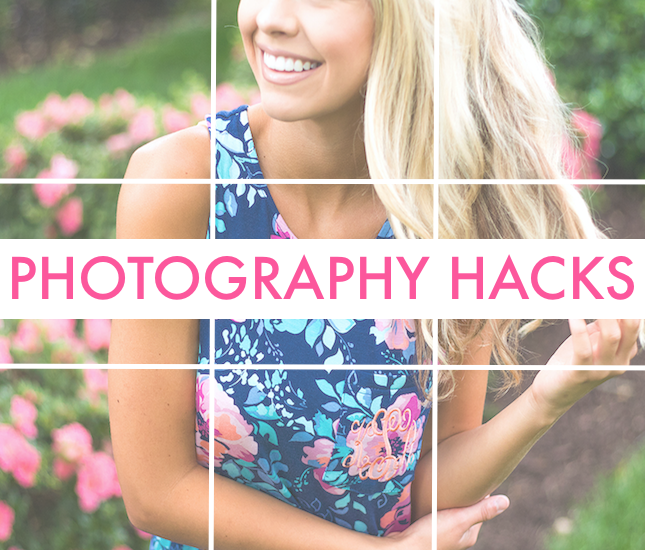 Figure out the focus of your photo and build around that! For a more on filling the frame, visit this link. The best advice I've received in photography is to learn what works for you! The "rules" of photography are not finite, so grab your camera and do a ton of test shots to find your style! Composition is just one aspect of photography, so give these tips a try to figure out what's next! What are some of your favorite composition techniques? Let us know in the comments below! Thanks for the feedback! Happy photographing!